Are you trying to change something? The polls have closed, the votes have been counted and the results are in for this year’s Museums at Night. It can be revealed that I’m heading to the Working Class Movement Library, Salford. Come along to the Library between 1 and 4pm on Saturday 19 May and we’ll add your story to the Library’s unique collection. Bring yourself and an object that sums up what you do or is important to your cause. Simon will take your picture or a quick video clip and that’s it. We’ll add your story to the Working Class Movement Library – Salford’s unique collection that captures over 200 years of the stories and struggles of ordinary people’s efforts to improve their world. From women campaigning to get the vote to people banding together to improve their working conditions – this is your history. You can also find out what you’ve got in common with campaigners in the past. Do you use Twitter? Two hundred years ago you would have had to use an illegal printing press to get your message out to your followers, then dismantle it and move on before the authorities caught up with you. Are you a blogger? In 1819, cartoonists and writers produced savage satires on the horror of the Peterloo Massacre. They didn’t circulate quite as fast as protest songs on YouTube do today, but they had the same impassioned impact. More details of the event here. 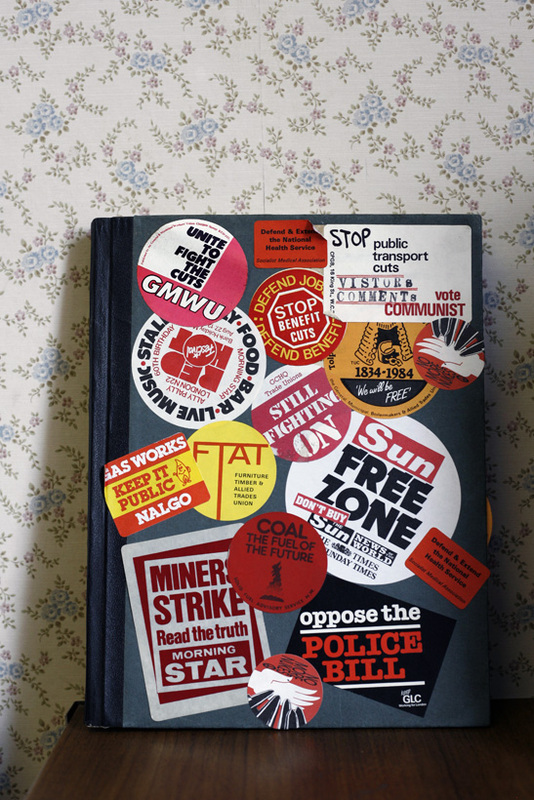 From strikes and protests to tailors and the Spanish Civil War, the Working Class Movement Library tells the story of 200 years of campaigning. During an event on Saturday 19th May I will help the library celebrate the image, drawing inspiration from the stories of past campaigns archived in the library. These, and the public’s photographic responses, will be used by the library to debate the power of pictures and writing to move and to persuade. Working people have always struggled to get their voices heard. The Working Class Movement Library records over 200 years of organising and campaigning by ordinary men and women. Our collection provides a rich insight into working people’s daily lives as well as their thoughts, hopes, fears and the roles they played in the significant events of their time.